Both Obama and Hillary Clinton were disciples of the Communist Saul Alinsky. “If you read some of the left-leaning writings of people like Saul Alinksy, you understand exactly what they’re doing. This is part of the plan,” former presidential candidate Ben Carson said.” Carson doesn’t realize that his man Trump is also part of this plan. Long ago, Communists realized that the best way to take over America was to do it but not tell anyone: Take control of its vital institutions but keep up the appearance of freedom and democracy. As time passes, this mask is gradually slipping and the horrific visage of the NWO is appearing. For now, there is the appearance of “choice” between Clinton and Trump. 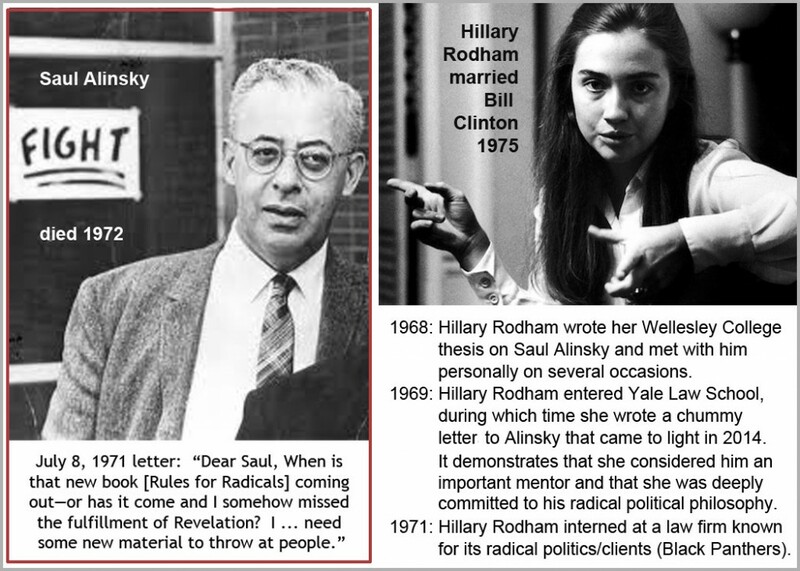 Hillary Clinton’s mentor was the Communist Jewish agent Saul Alinsky (1909-1972). Barack Obama was a “community organizer.” Alinsky coined the term.